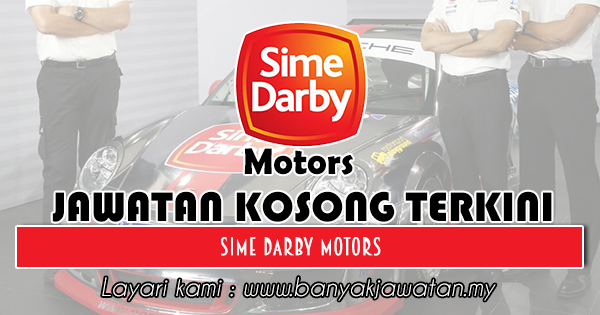 Sime Darby Motors is one of the major automotive players in the Asia-Pacific region with presence in Malaysia, Australia, China, Hong Kong, Macau, New Zealand, Singapore, Thailand, Vietnam and Taiwan. We are actively involved in the various parts of the value chain such as importation, assembly, distribution and retail. The Motors Division has relationships with many vehicle manufacturers around the world. Together with our partners, we strive to address the current challenges faced by the automotive industry and endeavor to support and promote sustainability in the industry. 0 Response to "Jawatan Kosong di Sime Darby Motors - 28 Disember 2018"